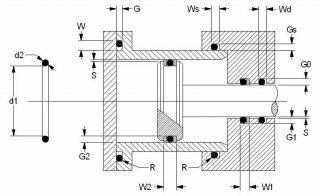 Recommendations for O-ring housings: pressure upto 100 bar, single acting upto 200 bar and double acting upto 200 bar. When using these recommendations you should bear in mind that they are for fluid power systems. 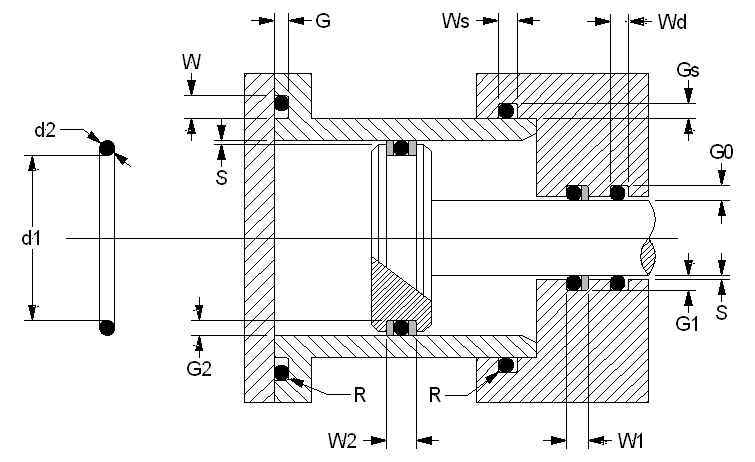 If you are designing housings for any other application you should submit your design for review before machining your metal/plastic parts.